We are the DEIgirls! We are from Coimbra, Portugal and we are both enroled in computer science at the local University, which is one of the oldest in the World. Both of us have previous degrees in other scientific areas and we have been involved in research on those areas. The DEI part of our name comes from the department where we study, Departamento de Engenharia Informática (Department of Informatic Engineering), that belongs to the Faculdade de Ciências e Tecnologias da Universidade de Coimbra (Science and Technology Faculty of the University of Coimbra). Today was the last day of RGSoC. Our little summer adventure has come to an end. There was not much work left to do. It was mostly a farewell day... We did a goodbye session with our fantastic and amazing supervisor Alex and we talked with our coaches and mentors (a really wrap-up goodbye session is scheduled for next week). Now we are trying to cope with the absence of RGSoC in our lives. We also did a hangout session with our mentor Trung, to wrap up our work and we reviewed the mailer documentation. On Monday we did a hangout session with our mentor Trung and we decided to channel our efforts on the generation of the mailer gem. We spent the rest of the day working on that and we added command line options to configure the mailer upon its generation! On Saturday we did a catchup call with Trung and Christian to evaluate the status of our work and decide the last steps and how to wrap it up. Today we worked on the mailer generator! :D And it is already generating stuff, like folders, files and code! We also participated in the Friday hug with Anna from GirlsCodersWars team, chatted with the other teams (our last Friday together) and with our amazing supervisor! The day started with another teamviewer session with our mentor, and some more integration bugs. And we basically did the same as Tuesday. Integration surely is confusing! We also started working in our final blog post. The end is near and we don't like it. Since our coach Christian was visiting us, we decided to spend most of the day out of the office. But first, we solved a few problems with our project and we answeared to the comments piling up on github. Then, we joined a guided tour by Go!Walks through the UNESCO World Heritage part of the city. 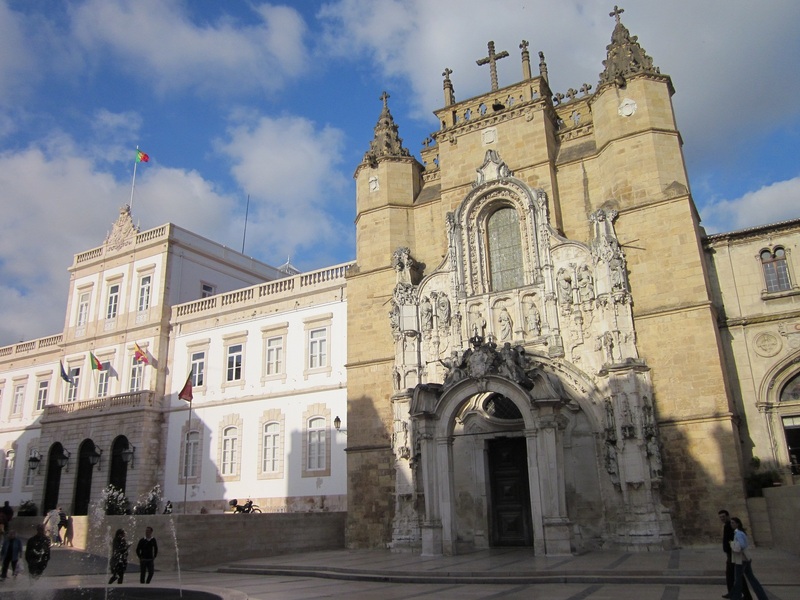 Starting downtown, we visited the Church of Santa Cruz, where the first two Kings of Portugal are buried, and we went across the old city Wall throught the door of the Torre da Almedina. Going up we passed the Old Cathedral, the New Cathedral and several student Republics until we reached the Royal Palace which is the core of the University of Coimbra. After the guided tour, we visited the University. 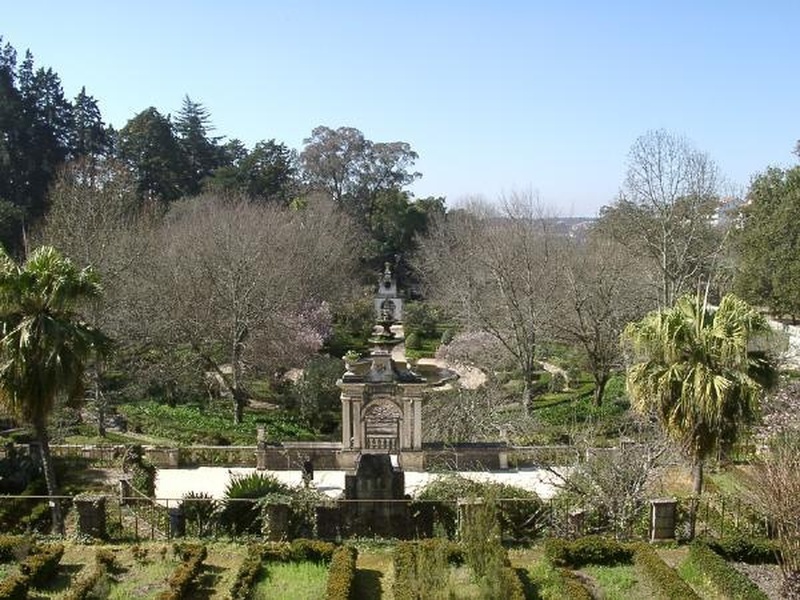 namely S.Miguel chapel, Joanina Library, sala dos Capelos - the former Throne Room of the First King of Portugal, now used for PhD defenses -, the tower of the University and the botanic garden. After finding the perfect spot for working, we took adavantage of Christian's presence to review our project and take off all of our doubts! We even got the chance to see some of the projects he has been working on lately, what gave us another perspective on working with Ruby. Although RubyConf PT had ended, on Wednesday, Braga was still full of Rubyist and it was impossible to leave the city without crossing paths with them. On truth, we didn't get as far as the hotel elevator without meeting anyone! 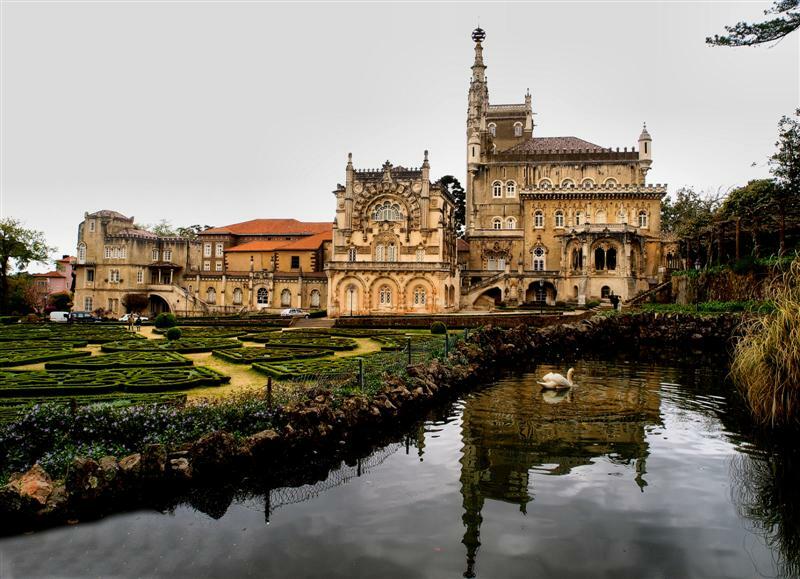 Since we would be driving back to Coimbra, we decided to offer a ride to Porto to some of our new friends. We ended up eating a Francesinha, a famouse dish from Porto, and climb up Torre dos Clérigos, an iconic tower that offers an unique view of the city of Porto. After we departed from out Rubyist friends for real, we proceded with our journey. I must say that me and Rosa didn't travel alone. We kidnapped our coach Christian for the rest of the week! The journey back had a mandatory stop on the beach, to enjoy the shy sun that was finally making an appearance. And, throughout the day, we had lot of opportunities to discuss Ruby, Lotus, our work, oppen-source projects and working in a company with Christian!We even had some German-Portuguese lessons. It was awesome! The second day of RubyConf PT was as awesome as the first, but "a little bit" more rainny. We had to buy rain protection just to get to the venue due to a tropical storm crossing Portugal. However, the Theatro Circo de Braga was such a pleasant venue that we didn't mind to stay inside for the rest of the day! We heard really great talks about versions of ruby and keyword parameters (Ruby 2.2.0 had a bug. 2.2.1 fixed it, but had its own bug. 2.2.2 was supposed to have a fix, but they forgot to add it, so use 2.2.3), how Ruby smells (look for the reek gem), how deleting is faster than re-writing, and how Inês is an unreliable narrator! We were also read a book called "Amelia Bedelia learns to code" by Kylie Stradley, that was my favorite talk! Today, after a 2h drive in the rain (! ), we finally arrived at Braga, where we gave a lightning talk about our participation in the Summer of Code in the local Rails Girls event. We're like 2 kids before Christmas, we want our box! So we did some integration and waited by the mail but it didn't arrive. We expect puppies to compensate our wait. But unicorns will be fine as well. We get to meet our coach Christian, lalalalalala. In order to integrate our mailer gem with Lotus, we started the day with a team viewer session with our mentor Trung. We corrected some errors, added a few more tests, did 2 PRs and one is already merged! We also did our weekly catchup session with Alex where we talked about his crazy trip to Uganda to meet black mambas and cycling! Today we had lots of fun playing around with prezi to prepare our lightning talk. We are thrilled to have the opportunity to talk in a RG event and motivate other girls to pursue a career in tech! Since we will be coaching the event as well, we have been practicing ruby on rails (metaprogramming doesn't have rails :P), doing some tutorials and testing stuff. *Headline of your update* is a good title. Today we worked on our lightning talk (we had a friend do an amazing job with the background picture, we'll show you later), we chatted with Alex, who says we are his Ruby children and loves us the same (I hope he loves me most) and we thought about our blog post (Inês says she doesn't want to do it now because she doesn't want the program to end - she doesn't mind getting rid of me though). We also discussed integration of our gem with the framework, and scheduled a meeting with our mentor to help us with that tomorrow. We started the week planning for upcoming events and most of our day was dedicated to prepare our lightning talk for the Rails Girls event in Braga. Today, after our catchup session with our coach Christian and our mentor Trung we started working in the integration of our mailer gem on Lotus. We also refactored some tests, worked on some bugs and added the attachment feature! Wednesday, we battled with code refactoring. We corrected some stuff, tuned another and updated the documentation. Our gem looks more polished everyday! We also took some time to plan future events: coaching a RG event, lightning talk, going to RubyConf PT. Refactoring is a <insert adjective> thing. After a session with our mentor Trung we finally understood what we were missing with laziness (we weren't lazy enough hehe). Meetups sessions and documentation day! Today was documentation day! With our mailer gem running on wheels, it was time to delve into writing its usage documentation. We love Fridays because are ketchup days! XD In the morning we had our weekly session with our mentor Trung and our coach Christian, where we discussed our plans for the next month. In the afternoon we talked with our supervisor Alex and shared stories about our day-off and learned that everyone is a box full of surprises! After correcting some glitches in our pending PRs, hurray! they were accepted, and there is a working mailer in Lotus! :D Only missing integration with the rest of the framework and creating the actual gem (and finishing documentation, that is on its way). Oh yes, she (Inês) put on the 10 hour version. We got tired after 12 minutes. And while we were hearing pink unicorns, we corrected the millions of billions of conflicts that git offered us in its looooooong DDoS attack. In the last part of the day we started the documentation of the gem. And she put on the song. Again. Pink fluffy unicorns dancing on rainbows. Besides dancing with unicorns, today we did a catch-up session with our project mentor Trung, revised our active pull requests, modified a few things on our fixtures and squashed everything into a unicorn horn, shiny and powerful! We had to move our catch-up session with our supervisor Alex because he was a little bit under the weather. Get well soon (watch the markdown video in loop for a speedy recovery)!!! Today we altered some methods and variables to be instance methods instead of class methods (meta-programming FTW! ); we also added a scope and locals to be able to render templates with concrete methods and variables. Oh yes, it's true! We actually created a mailer that sends an e-mail! A very basic one BUT it works. You can actually send an html mail :) WHOOOHOOO!!!!!!!!!!!!!!!!!!!!!!!!!!!!!!!!!!!!!!!!!!!!!! Also, sushi and ice cream for Rosa, salad for Inês. Finally we defeated the devil! Or at least tamed the beast. We were able to merge, rebase, squash our pull requests, at last! Yeaaaaaahhhh!!! We also drew on balloons, karaoke'd and talked to the loves of our lives, Alex and Christian! Friday is ketchup day, so we had our weekly session with our mentor :D We reviewed what was done this week (hopefully, the PRs will be merged) and planned for next week. We were also asked to write a little to-do list of each issue, and to do a blog post for the Lotus blog when the gem is done. In this murky day (outside, inside it's nice and balloony still) we had the absolutely essential help of Nancy, my adorable 4 year old Pinscher and the love of my life (Rosa talking here) that helped us fix our splat hash bug from yesterday :D YEY! We did 2 more pull requests (4 pending now!) and cleaned up all the code, removing unused methods we made when we knew nothing (we're Jon Snows, and not dead, just like him!) and sprucing up our tests. And now we will flee to our houses before it starts to rain, because we didn't bring umbrellas (ellas, ellas, ellas, e, e, e). Today we played with balloons, ate yummy sushi (the waiter did us a favor with the menus ;) ) and fought with Hashes and splats and the Mail gem. The skip ball we bought yesterday allowed us to skip issue number 5 and go straight to issue number 6. And it is already brewing! On the way we found and solved a little pixie bug in our previous work and we added some more tests on previous issues. Alex offered us Rubymine licenses and we made fun of Rosa because she doesn't like to use proper IDEs (Rosa still uses Geany although Inês does her best effort to show her other stuff). Now we are waiting for someone to offer us some Macs since everyone is so eager for us to use them! P.S. : Inês is a pain. I only need a text editor to write. At least I don't use VIM. humph. We had problems with the first issue of the mailor gem, we had a huge amount of problems with the second but the third was pretty smooth! And today we did our third pull request! Yeaah!! And we ate ice-cream to celebrate! Half of our morning was spent wowing this amazing community and meeting our new coaches. <3 We also had a team-viewer session with our amazing coach Christian, whom magically solved our problems! We spent the rest of the day working on the second issue of the mailor gem, did another TV session with Christian, and ta-da! We made our second pull request! (So Do La Fa Mi Do Re, So Do La Ti) Do Re-do! This Wednesday we re-did our code and shared our screens with one of our coaches after very many attempts. We tried screenhero, skype, appear.in and finally teamviewer worked. So much install, so little time! Once we got back to work, we had a chat with our coach, and "reset" our code to solve issue #2. Can't wait to advance with our work! I can smell it in the air (everytime I look around). We made some headway with our tests and our module-class relationship (much like a love-hate one). Yes, it's linking day just because. We kept working on the second feature of the Lotus mailer gem, but we still have problems with the tests. We studied minitest and the Lotus code. Today we met with our mentor and coaches and discussed our agenda. We also had a little catchup chat with our supervisor. We finished our blog post and created the pull request. Afterwards we attacked the second feature of the mailer gem and corrected some issues on the first one. Today, We installed a virtual machine with debian to test some deployment scripts, had a couple of chats with the supervisor and coaches, and got the directions to jump in and start the mailer gem! We also had a lecture about the Tesla car that has a JSON API and planned our trip to RubyConf Pt! Tu is you in Portuguese. Not sure where I was headed with this. So... On Tuesday we continued css tutorials and read some links given to us by the coaches about deployment (specifically, deploying assets on heroku - good name for a martial art - , and other ways to "take care" of assets wink wink). We also did some mysterious stuff (Inês made me write that) related with our blog post (so awesome, we are). You just have to wait 'till Monday. The beginning of an awesome week! Today was study day! We've done some tutorials of CSS and we read stuff about rspec. We also corrected a small error in our diary app that was having big impact! Now it's online with a gorgeous 90's look! And we started to write our blog post! On this hot Friday the day started with a call with one of our coaches, who helped us figure out what was wrong with our sessions (sessions are magic I tell 'ya!). Then we had a call with a mentor and a coach, where we got our next assignments (learn css and assets stuff, and improve our knowledge of TDD) and we were videobombed by an awesome random Australian guy (we love you dude!). We also dabbled in the world of security, trying to figure out the best way to encrypt our passwords (sha + salt or bcrypt - we went with the latter). Day 11: Victory, at last! Monkey monkey, where is the monkey? This was the un-monkey-patching day! We un-monkied some code, did a few method overrides, removed some hidden fields, and got a drop-down menu working correctly. We also tried to deploy our blue diary to heroku, but the database (oh the database) is not cooperating, so, find out what happens on the next episode of Dragon B.. hem hem, Rails Girls Summer of Code! I sang a lot again and gave Inês an ice-cream again. Just because. We CSS'ed some stuff and form'ed some other. And Rosa sung a lot. Really, a lot. But she gave me an ice cream, so I'm not complaining. Well today we fought a little more agains postgres (and won! ); we also implemented basic listing and creating entries. Today we read Lotus documentation, learned about secure comparison of strings, rails' mailer and some standard coding rules we weren't aware of (yes, now we put aaaaall the spaces between all the things to make it pretty). We had a call with one of our coaches as well. Today we worked on the controller to add, edit and delete posts. We learned how to do basic http authentication and we battled with routes. Day 5 - Diary, oh diary! Day 4 - Start a diary! - Learned how to use git. - Started a new Rails project. - Said good morning to everyone!